As part of the partnership, GlobeAir's logo will feature on the Alfa Romeo Sauber F1 Team car from the Belgian Grand Prix. Europe's leading private jet company, GlobeAir is teaming up with Formula 1 to become Alfa Romeo Sauber F1 Team's official partner. GlobeAir and Alfa Romeo Sauber F1 Team are revving up a far-reaching cooperation which will begin next season and will include the transfer of racing drivers, team members, and equipment; as well as giving exclusive benefits to GlobeAir passengers who are F1 fans. The teams are set to span the whole of Europe to reach the race-tracks just in time. Anyone familiar with Formula 1 knows the logistical challenges that the international racing series faces. Throughout the year, people, materials and machines are on the road from race to race and country to country, covering thousands of kilometres. Formula 1 teams regularly invest time, money and enormous efforts in order for this process to function smoothly. The Alfa Romeo Sauber F1 Team is turning those challenges into opportunities by teaming up with GlobeAir. Starting from the next season the Austrian private jet charter company based in Hoersching (Linz) will make its private jet fleet as well as its know-how and problem-solving attitude available to the Sauber F1 Team and its managing director, CEO and team principal, Mr Frédéric Vasseur. Whether it's the team with regular racers Charles Leclerc and Marcus Ericsson, spare parts coming urgently from Switzerland to the next race, or engineers attending their next meeting, the Alfa Romeo Sauber F1 Team can now rely on GlobeAir to ensure they reach their destinations fast and safe. Time is key; transporting people and materials as time-effectively, safely and comfortably as possible, is part of GlobeAir's commitment. With the unique advantage of being able to operate its aircraft at short-runway airports located in the proximity of some European race-tracks,such as Zeltweg, Girona and Speyer, thus shortening the delivery distance of spare parts and team members, GlobeAir is set to give the Alfa Romeo Sauber F1 Team a competitive advantage over the other racing teams. "Like the Alfa Romeo Sauber F1 Team, GlobeAir is a team of hard-working people driven by passion. Daily, we dedicate our working life to optimise the company's performances and bring GlobeAir to the next level. That's where our common vision lies and is why we are very pleased about this partnership," says GlobeAir CEO Bernhard Fragner. As part of the partnership, GlobeAir's logo will be featured on the sidepod floorline of the car from the Belgian Grand Prix at Spa. GlobeAir customers who are interested in exploring the fascinating world of Formula 1 will be granted exclusive access to the Alfa Romeo Sauber F1 factory and wind tunnel in Hinwil, in the canton of Zürich. With behind-the-scenes looks and insights, the partnership will give GlobeAir passengers the opportunity to embark on one of an exclusive tour of the sacred halls of the Alfa Romeo Sauber F1 Team. GlobeAir AG operates the world's largest fleet of Cessna Citation Mustang jets (16), an aircraft suitable for landings at short-runway airports such as St. Moritz, Lugano or Buochs (Lucerne). 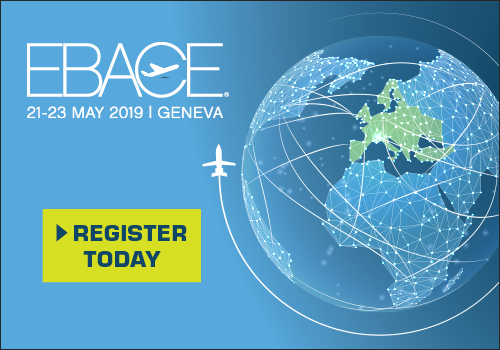 GlobeAir is able to reach over 1,500 airports in Europe and land where larger aircraft are unable to, being now established as a flexible airline sought after by both business and private travellers. With a fast and uncomplicated booking system, less waiting time at check-in, direct connection to the next desired destinations, as well as shorter travel distances, GlobeAir flights become significant time-saving experiences. Thus, GlobeAir allows time for what matters the most: family, friends and professional success.